Catering for the whole team. Catering a big group can be tough. 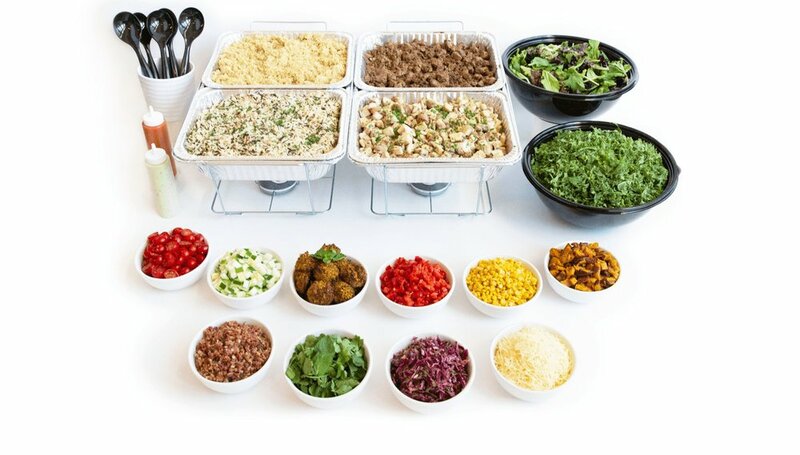 Let's make it easy - we'll bring a spread that anyone can enjoy, create-your-own style. Contact our catering team today and let us bring the happy to you. "Everything went off without a hitch! The driver was early, set up everything perfectly, and was a real pleasure to chat with while we set up the room. The food was excellent as well! The students and staff really enjoyed it! I loved the variety that you offered and It really worked for a group of people whose tastes and dietary needs were vastly different. We will most certainly be calling you all again for a catering job!" Ready to Impress the Office? Please fill out the form below and our catering manager will be in touch!